We are pleased to share this guest post from Julie Dixon, Research Director of National Journal’s Communications Council, where she leads a dedicated team that provides data and insights to strategically support nonprofit communications executives. Ms. Dixon is the featured speaker at the upcoming Executive Leadership Forum on September 10th in Freeport. Storytelling is a hot topic—and not just among nonprofits. Bloggers have heralded it the “#1 Business Skill of the Next Five Years,” brands have embraced it as a way to authentically engage consumers across digital platforms, and an overwhelming amount of Internet real estate is devoted to offering insights and tips on how and why organizations should tell their stories. It’s such a hot topic, however, that we’ve reached a point of resource overload. At last count, there were more than 140,000 books on Amazon.com on the topic; more than 9,300 Google search results devoted to nonprofit storytelling specifically, and—at peak times—upwards of 60 Tweets an hour using the hashtag #storytelling. Last year, through a multiphase project on nonprofit storytelling in partnership with the Meyer Foundation my team at Georgetown University set out to uncover a more complete picture of the gaps between the myriad storytelling resources available and the specific barriers, challenges (and successes!) of nonprofits. 1. Systems: Internal systems to facilitate the collecting, storing, sharing and reporting of stories and successes. 2. Strategy: Clear audiences and calls-to-action, both in a story itself and in how it’s positioned and framed on the websites or other online channels. 3. Consistency: Agreement around what a story is and what it must contain. There’s nothing wrong with having testimonials, interviews, event recaps, etc.—but they’re not stories. 4. Immediacy: As we saw in the 2014 Nonprofit Marketing Guide’s Communications Trends Report, a nonprofit’s website is its most important communications channel right now. Put stories front and center, where they can immediately draw your supporters in and move them to action. 5. Diversity: Diversity can take many shapes, from featuring different heroes (and NOT always the organization as the hero! ), different types of stories (founding, behind-the-scenes, on-the-ground); different formats (text, video, photos, multimedia); or by making use of different plot devices (for example, leaving it open-ended vs. resolving it). 6. Engagement: Supporters want to do more than just read or watch stories today; they want to have a way to interact, customize, and engage with the content. 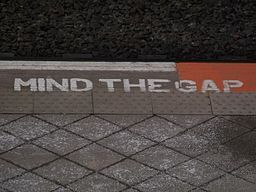 Why Invest in Closing the Gaps? We know that storytelling is an effective way to move people to action. In a survey of digitally active supporters of causes conducted a couple of years ago, reading a story on social media was the number one motivator of the more than 50% of respondents who made the leap from supporting a cause online to also supporting it offline. Perhaps most tellingly, we also saw in our research that 90 percent of nonprofit respondents expect the importance of storytelling will increase in the coming two years. This poses a tremendous opportunity for organizations to reassess their internal cultures, and to ensure that they have the systems and processes in place to meet the demand for authentic, engaging stories that showcase the impact of their work.